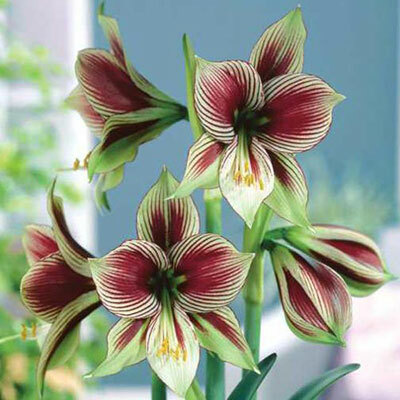 Butterfly-like flowers are lime green to white with maroon veins radiating out from the center. 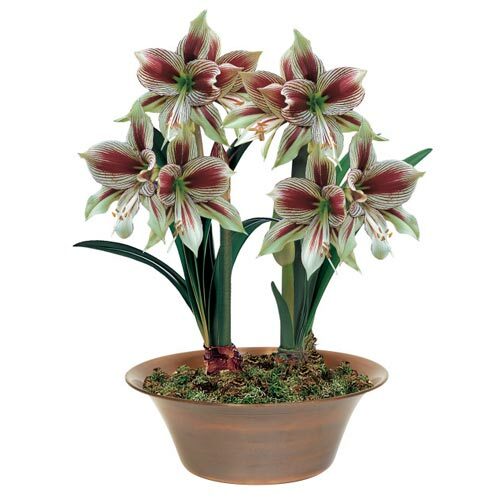 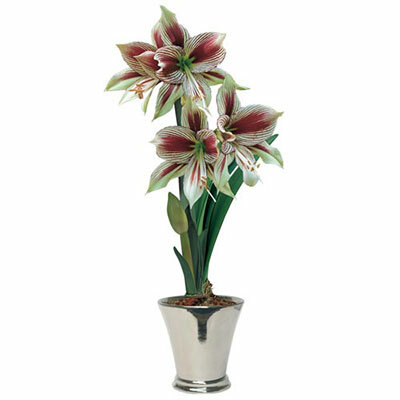 Miniature amaryllis have all the wonderful qualities of their larger relatives; however, they produce a larger number of smaller flowers per stem and more stems per plant. The coloration of these miniature varieties is quite rare in amaryllis today. These novelties are sure to please and will provide brilliant color indoors during those dreary winter days. 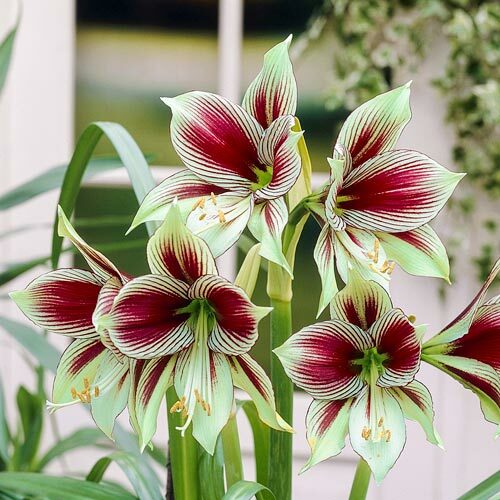 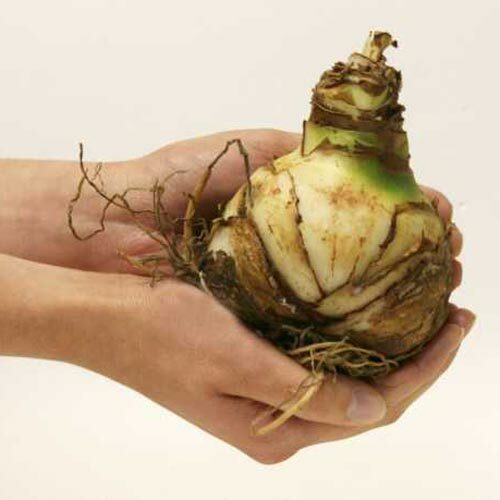 Note: You will receive large-size bulbs, but the bulbs will not be as big as our regular amaryllis as these varieties do not grow as large.